“Run so as to win the race”! Today we begin the Septuagesima season—a short two and a half weeks in which we prepare for the observance of Lent. This is the time to clear your social calendar so that you will have time for Lenten exercises like the Stations of the Cross, and so that you don’t make engagements for parties and celebrations that would distract us from the somber observance of Lent. The Epistle this morning needs a little explaining, particularly for anyone who might not be familiar with the Old Testament record of the Exodus of God’s people from Egypt. 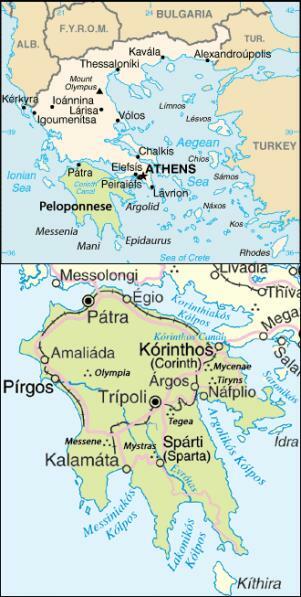 Paul was writing to the Corinthians, the formerly Jewish inhabitants of the city on the land bridge between mainland Greece and the huge island known as the Peloponnesus. The reference to the cloud, the Red Sea, and the food and spiritual drink from the “rock that was Christ” is an allusion to the description of the Exodus found in the Book of Numbers (specifically in chapter twenty). The people had been led out of Egypt by God, Who also fed them with wild quail, a bread-like substance known as manna, and with water gushing out of a rock in the desert. In spite of all that God did for them, many of the people continued to grumble against God about their living conditions. The verses that immediately follow what we read today indicate that significant numbers lapsed into idolatry, fornication, and tempting God—so that “with most of them God was not well pleased. For the Corinthians (and, indirectly for us) Paul suggests that the journey through a cloud and through the Red Sea, the bread from heaven, and the miraculous draught of water were something like the Christian Sacraments. For the Jews of the Exodus, Paul suggests that these events served like the Sacraments of Baptism and Holy Communion. Jesus Christ was working the sanctification of His people, even then, before the Incarnation. But in spite of these great sources of sanctification of both body and soul, many of them remained unholy. Paul was writing to the Corinthians to correct some of their more serious faults, and to warn them not to fall into the trap of the unholy people of the Exodus. He is saying that it is not enough, by itself, to be a Catholic—not enough to be baptized and to receive the other Sacraments once in a while. One must not grumble against God, being unhappy with the graces He has given us, and distancing ourselves from those graces. One also has to live the life of a Catholic, avoiding the various sins and occasions of sin that can be so tempting in this world. The Church has us read this epistle on this Septuagesima Sunday to remind us of what is necessary to make a good Lent—and, indeed, what is necessary to be a good Catholic throughout the year. If we find ourselves guilty of the sins of this world—as we all are—the Lenten season is the time to make a good examination of conscience, get to Confession, and resolve to do better in the future. Of course this is not only for Lent, but is something we should do with regularity throughout the year. We say we are traditional Catholics, so we ought not adopt the bad habits of the Modernists who play at being Catholic. Unlike the ungrateful who murmured against God in the desert and grudgingly accepted His graces, Lent is the time to speak appreciatively to God in prayer, and to receive His graces as frequently as possible in the Mass and the Sacraments. It is a time for spiritual reading, so that your mind is filled with the things of heaven, and not distracted by the noises of the world. Finally, Saint Paul also alludes to the traditional Catholic practice of fasting and penance that should make up part of everyone’s Lent. He suggests that we should be like athletes training for a race or some other sporting competition—only we are setting out to win a spiritual prize, rather than an earthly prize that will be gone in a few days. In the earlier days of the Church, Lent could be quite severe. It varied over the centuries, but not too long ago there were Catholics who went through Lent without meat, or eggs, or milk, or oil. I had the privilege of knowing an old Ukrainian Catholic priest who spoke of people who kept such a Lent—perhaps now only a hundred years ago. For most of us, in our life times, Lent was much less rigorous. We gave up something for Lent: maybe candy, or cigarettes, or beer. While we were under sixty years of age we ate only one full meal a day, and a couple of smaller snacks. Of course, everyone kept the abstinence days—the ones on the calendar with the fish—which, by the way are still binding, even under the modern norms of law. Again, if you want to be a traditional Catholic, I strongly urge you to keep these customs, and not to play at it. Again, together with Saint Paul, we are preparing to enter a sort of athletic contest. It is not so much that we are doing these things in order to quit smoking or drinking, or to lose a few pounds (not bad ends in themselves, though). The discipline of Lent is training—by giving up some of the legitimate pleasures of this life, we prepare ourselves to refuse the illegitimate pleasures of sin. To be able to face the opportunity to sin, and to refuse that opportunity, may be the most important “contest” of our lives.